Irish slippers are loaded with embroidered shamrocks. These Irish slippers with shamrocks are great for the bedroom or for just lounging around the house. The embroidered shamrock slippers are made of cloth and have a textured bottom. 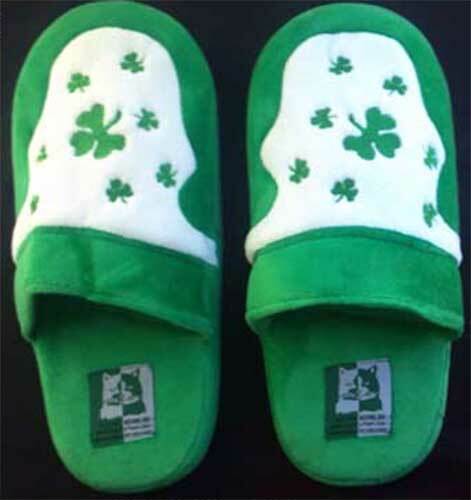 The unisex style slippers are packaged with a shamrock history card, complements of The Irish Gift House. Leprechaun slippers feature green sequined along with a curly toe with a bell on the tip.